Tatsuyuki Nagai: Anime director. In addition to directing this show, Nagai has also directed Honey and Clover II as well as Idolmaster Xenoglossia. He is currently working as director on A Certain Magical Railgun, which will begin airing this October. Mari Okada: Screenwriter. In addition to composing this show, Okada has served as series composer for true tears, Black Butler, Mamoru-kun ni Megami no Shukufuku o!, and Kodomo no Jikan. Her latest work, CANNAN, is scheduled to begin airing in July. – To start, when did you first hear that Toradora! was being adapted into an anime? – Was Okada-san involved in this project at that point? Nagai: Not at that point. I requested her on this show in order to harden the anime’s story to some extent. One of the producers introduced her to me as one of those young women with tons of spirit. Okada: Thank you (laughs). As for when I was involved, it was around when the fourth volume came out. – Would you please tell us your impressions when you first read the novels? Nagai: The end of the first novel was outstanding. It felt like one of those new shojo manga, yet it felt like the story had concluded fantastically with just one novel. I enjoyed reading it. -This isn’t your first time adapting a light novel, is it Okada-san? Okada: Right. I’ve been involved with Mamoru-kun ni Megami no Shukufuku o! and Kyo Kara Maoh!. -How different is it to adapt a light novel compared to a manga? Nagai: For a light novel, as well as a normal novel, the movements as well as expressions are left for the reader to imagine instead of depicted like they are in a manga. Sometimes it’s difficult to continually envision that in the animation’s scene. However, Toradora! takes place in a world that’s similar to our own, so illustrating that normal life was relatively easy. It’d be more difficult if magic or things that don’t appear in reality were present. Okada: In regards to the scenario, light novels are easier to write. The psychological descriptions and stage directions are already written, so I focus on attaching the expressions that will be displayed. It’s a bit different from manga; we’re given a hint as to those expressions. Toradora! is especially well characterized with the psychological states minutely described in the novel, so it was really easy to imagine what the characters would be showing. Episode 3 is full of Minori’s charming attitude. There’s a story in there. – Episodes 3 and 4 were original stories for the anime. What caused you to insert them in the story? Okada: Everyone was thinking that “Ami’s a bit intense,” so we inserted these episodes before she shows up. We could help support Minori as a character. She’s a very charming character, so we were able to bring out that charm she has in that episode. Nagai: In addition to that, we wanted to introduce a new component to Ryuji and Taiga’s relationship for the viewers since Ryuji and Taiga are always together. Okada: Right. As soon as Ami is introduced, the story begins to move forward, so it felt right to put these episodes before that. We wanted to solidify their relationship since it’s the foundation of this tale. Ryuji and Taiga relaxing inside a 6 tatami mat room. 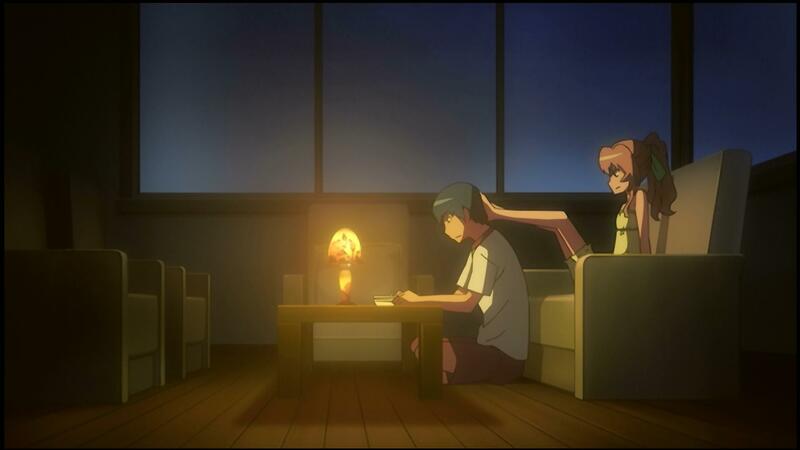 This image symbolizes Toradora!. – After those episodes the story continues along the original novels. What did you think of the progression towards the ending? Nagai: Thinking of how it ended now feels like a happy memory for me. 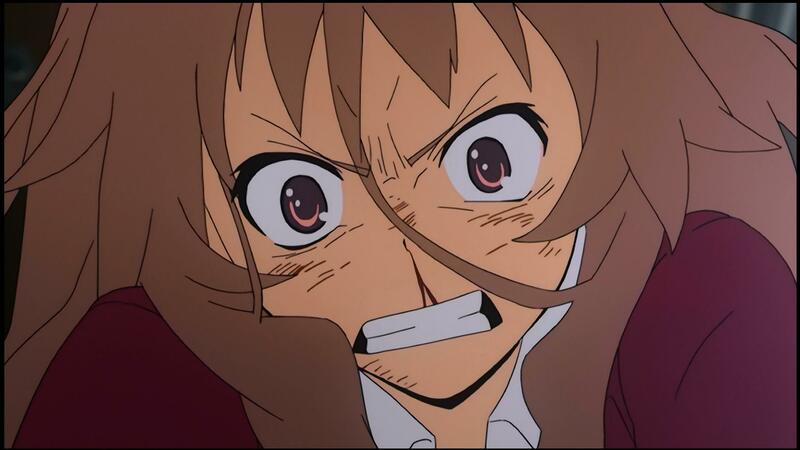 – Toradora!’s novels and anime finished at around the same time. Have either of you had that experience before? Nagai: I have with Honey and Clover. Every week I’d get a storyboard and then the next day it felt like I’d have to cut half of it due to what the scenario had changed to. I was surprised at how it came together. Okada: For Toradora!, Takemiya-sensei’s kindness was immense. She left everything up to us and said we didn’t have to follow the novels exactly. I was so impressed. It made everything much easier for us. Ryuji cries out “I’m a Taurus!” during the climatic penultimate episode. What? – Talking about the finale, I started to suspect that Ryuji had been held back a year. Nagai: I was also thinking “this is a nice story, we’ve got to do this,” when it hit. Huh? Isn’t it strange for a second year high school student to be 18? Okada: Lots of things could’ve explained that like being held back a year. Right before that he says “I’m a Pisces!” I thought “It’d be alright to change this to a Taurus, right?” and wrote that into the scenario. Nagai: But that nearly seemed like a mistake in the recording script. He wouldn’t have said “Aries,” so it had to be “Taurus,” but the “sheep” in “Aries” was related to Genghis Khan, which was part of a previous line, so “Taurus” had no relation to anything in the script. Okada: But it looked so powerful visually I felt it’d be alright. 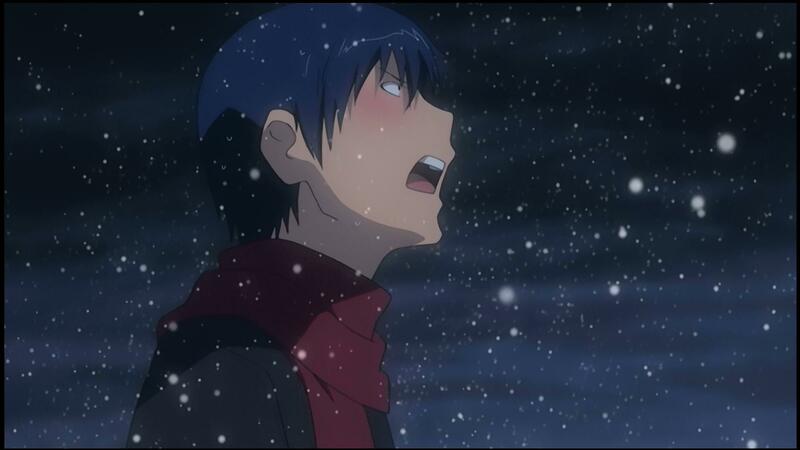 (laughs) That kind of vigorous push really felt like Toradora!. In any other work, that might cause problems, but Takemiya-sensei said to make it entertaining. I’m incredibly grateful for her to allow us to make it that episode more exciting. -The episode titles for Toradora! feel poetic. How did you decide what to call each episode? Okada: We discussed them at the script meetings and yet there were a lot that we found lacking… But we were about to look back and find them in time. The final one was decided on the way back from recording as well. Nagai: Up until that point we couldn’t decide what to call it. Nagai: Although that line was impressive from the start. Okada: For the previews, we would take portions from the main story and inflate their importance while removing the lines. -When did you decide the script for the previews? Nagai: I would send e-mails with Okada-san during recording for the previews. Okada: They were done at the last minute. – Yuri-sensei’s preview was considerably meandering. How did you decide that? Nagai: The moment where she turns 30 wasn’t included in the novels, so we wanted to do that type of preview from the start. We even made an extra cut for it. Okada: And yet somehow I forgot about that. (laughs) I wrote the preview as usual and sent it before I realized “Oh, now that you mention it…” I hadn’t rewrote those lines and I was in a hurry, so the script was longer than usual. However Tanaka-san was somehow able to fit all of that in with her super fast talking voice. – I’d like to ask about Inko-chan. Previously I did an interview with Takemiya-sensei and Okada-san where it was mentioned that Inko-chan had been cut. What happened? Okada: That’s right. At first we had no idea how to use Inko-chan, so whenever the bird showed up in the novel, we removed it. In the end though, Inko-chan is a character you can’t get rid of. -Why did you both think “that’ word was suitable? -What special direction did you give the cast members for performance? For example, Kugimiya-san’s performance is a bit different than usual. Nagai: That is simply Kugimiya-san being a great actress. I think she removed part of her usual voice since her audition like a play so that Toradora! wouldn’t get lost in her roles and in order to match the novel. A splendid performance breathes life into Taiga’s soul. This scene where she calls Ryuuji’s name is quite impressive. – How about for any other of the cast? Nagai: The rest of the cast had read the novels extensively, so there was no need for special instructions. I chose the cast based on the impression I had in mind for each character during the auditions; truthfully, I was blessed to have everyone. – Was there anyone who changed your mind about a character? Nagai: As we moved along the novels, I felt like Haruta became more like the novel character. Okada: He was in the novels, but he was altered a bit. Nagai: Also, I thought Noto-kun would be a more calm and composed role, but he became surprising and frantic. Over time, Nanako also became one of those “you’d never know” type of characters. (laughs) I asked that everyone perform just like the staff imagined the characters. – Did anyone’s voice for a character influence you? Nagai: During the entirety of this show. I would finalize how their character would be expressing those lines while I was listening to the recording. It was a lot of good feedback for me. -Speaking of expressions, wasn’t Taiga and Sumire’s fight scene very violent? Did you change that after listening to the recording? Nagai: Yes. I had wanted to make it tattered from the very beginning, but after hearing Kugumiya-san’s voice, we had to make it moreso or else it wouldn’t match the voice acting. The cast’s performance boosted the emotional impact of the impressive visuals in the fight during episode 16. -You could say listening to the cast really left an impression on you for that scene. Nagai: I also owe a large amount of gratitude to character designer Tanaka-san. He loves that scene so much he says that without it, Toradora! loses its meaning. -Okada-san, what is your favorite scene? The kiss scene in the final episode that embarrassed everyone. No one will forget those repeating “One more” lines. Nagai: You weren’t embarrassed when you were writing it. You only became embarrassed when you had to show it to anyone else after it was done. Okada: Right, right. (laughs) On the elevator after recording Kugumiya-san said “That was so embarrassing.” If I have to comment on her performance afterwards, the way she was able to show the closeness between Ryuji and Taiga on the train going to and from Yasuko’s parent’s house was really amazing. I was surprised that my impression of Taiga changed from how it was going to the house. Nagai: Speaking about scenes with closeness, the one in episode 9 after Ryuji and Taiga eat curry was also good. You really feel how close they are together. 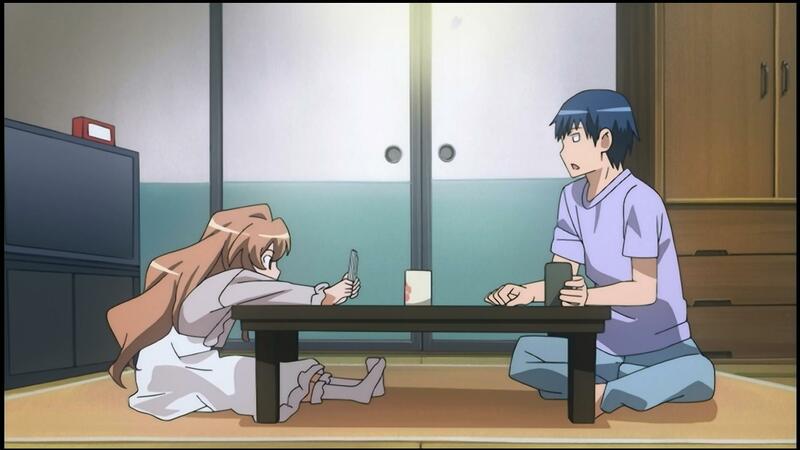 And in Toradora!, you have to have barefoot Taiga…… She was also barefoot in the end of episode 19. It’s such a wonderful feeling….. wait, that’s not a scene at all. Okada: In episode 9 and 19, Taiga’s guard lowers when she’s barefoot. It’s a pleasant feeling. Ryuji and Taiga on the way home from Yasuko’s parents’ house. Look how different they are compared to heading there in episode 24. – You also drew half the storyboards for episode 19, didn’t you director? Nagai: That’s right. I loved that part in the novels. Okada: When I read that part, I said “we have to do this.” Since we were working while new novels came out, even though someone would comment how “this was a great scene” or “I love this volume,” everyone got excited for that volume. Looking back on it, it was exciting to work on the scenario as new volumes came out. I was always working on something fresh. Taiga and Ryuji are sticking together even in Ami’s mansion. She’s also barefoot in this scene too. – You two covered the series thoroughly in your discussions. What were some of the easier points of the series? Nagai: The novels show portions where emotions are incredibly vague, so I wanted to portray those moments just like the novels, but explaining those moments was extremely difficult. I wanted to make something where it didn’t just state “feeling like this.” For example, if I wasn’t able to clearly show how Ryuji likes Taiga, but that he’s not in love with her at this point, Toradora!’s good points would disappear. Okada: There’s a lot of girls around the protagonist, and while the mood is somehow good, there’s signs all around that everyone likes him equally. However Toradora! doesn’t negate those signs; it subtlety shifts the story along, much to its credit. We had to discuss how we would repeat the same. Taiga crying and Ryuji looking at Orion. This scene feels like it’s in a shojo manga. – Earlier you talked a little about how Toradora! feels like a shojo manga. Did you consciously make the show with that in mind? Nagai: That’s right, we were aware of that interpretation. We were going to make with the impression it’d feel like a light novel, but this story is something different. Near the beginning, we talked and decided to make it feel like a shojo manga instead. Honestly, I’ve read a few shojo manga myself. I quite like them. -Okada-san, what kind of image did you have in mind regarding shojo manga? Okada: Though I never told director Nagai this directly, I had the same impression when reading the novels. 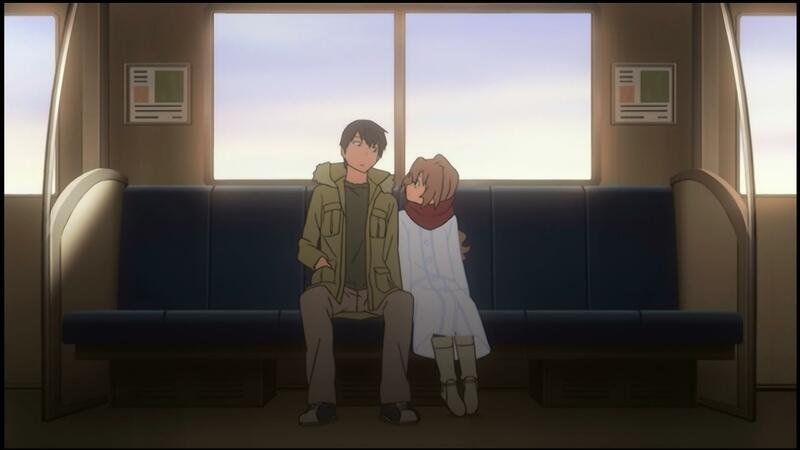 Personally, I love the atmosphere in a shojo manga, so I wanted to bring that atmosphere to the screen with Toradora!. – At first, how did you think men would feel about the shojo manga atmosphere of the show? Do you think they may be more or less frightened at certain points? Okada: Right. I’ve also recommended some to guys. Some of them have the ability to make everyone want to read it. That’s why I thought “ah, let’s do it like that.” I didn’t think there would be anything in particular scary. Nagai: Also, shojo manga have been used as the source for TV dramas too. Don’t you think men also watch them and think they’re normal shows? 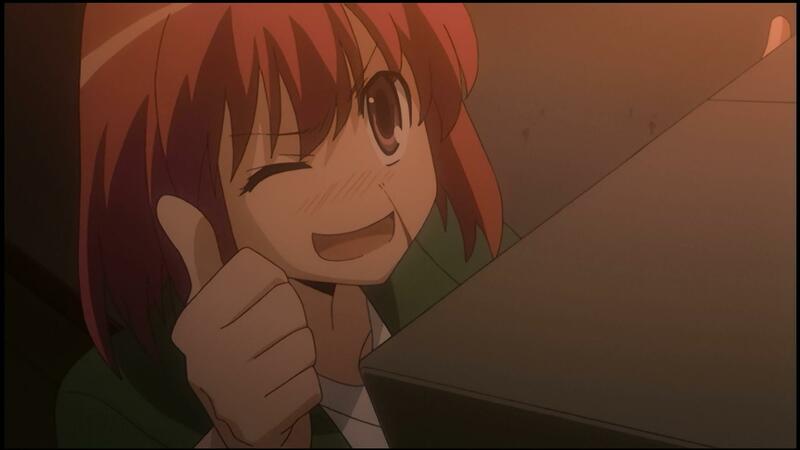 I don’t think there’s anyone who watches a drama and thinks “this is a shojo manga.” There may be some who would watch the show, but keep the manga at a distance, but I think they would watch something like Toradora!. Thus, if it’s a good work, I want to make it entertaining. Taiga’s farewell letter. It peacefully conveys her intention to look towards the future. – In the final scene in the final episode, the main actors’ performance felt like the characters had moved forward to becoming an adult. Was that your intention in making that scene? Okada: That’s right. We created that aware of that meaning. 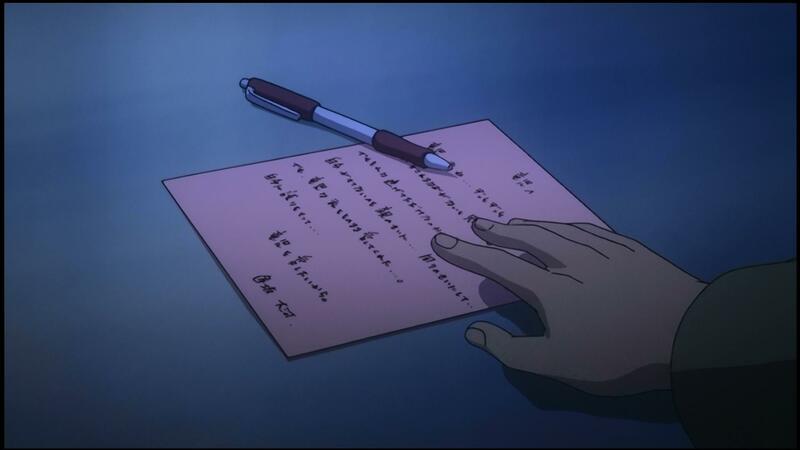 Originally, I didn’t have the line “so I can love you,” in Taiga’s letter to Ryuji, but director Nagai wanted to insert that, sensing that there was a scene where that kind of emotion was already said. It’d be a lie to say that it was just about romantic love. In a show like Toradora!, where familial love, friendly love, and romantic love are intertwined, a line like that can be born. – Incidentally, did either of you include some feedback from your own high school days? Okada: Agreed. There’s nothing surprising like “it was heading towards something else” in the tale. However, high school students have this “delicate impatience.” As I worked with Minori and Ami and everyone spending their days in that delicate impatience, it felt like I was writing high school students. – Finally, what were your thoughts as Toradora! came to an end? Nagai: The story fully came to an end. I felt immensely satisfied. There were some trouble spots, but there wasn’t anything I disliked or felt was wrong. As I look back, I only have fond memories. Okada: I was very happy to hear thoughts from the enormous amount of people around who watched this show. I was truly glad to have been involved in this show. Nagai: More than just the variety of people who saw it, it was a show that everyone spoke great things about. “Ah, is this a death sign? Am I going to die here due to how happy I am?” (laughs) We’re truly grateful to Takemiya-sensei. Okada: That’s the best news for me. Takemiya-sensei’s work is incredible too. I’m very pleased that it stands up to the novels. Okada: It’s just as Ryuji said. It doesn’t mean anything unless everyone is happy. Nagai: Oh, that’s perfect to end on. Recorded one day in June 2009 at JC Staff. 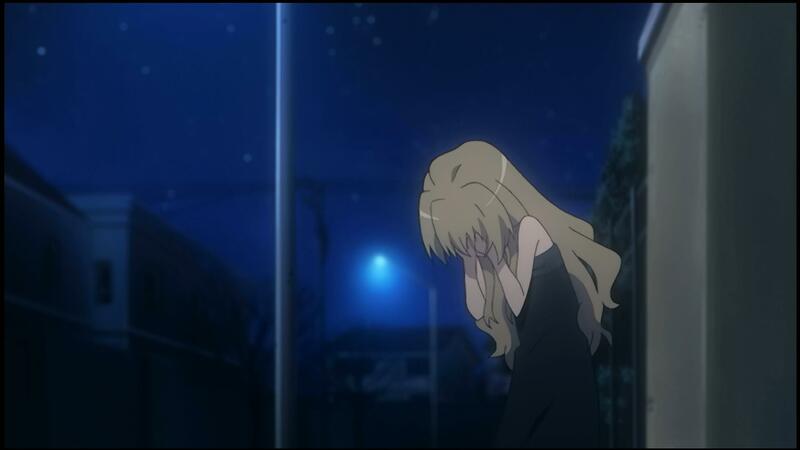 This entry was posted in Personal, Toradora, Translations and tagged mari, nagai, okada, roundable, tatsuyuki, Toradora!. Bookmark the permalink. Thank you for the translation! By the way, where was the interview first published? 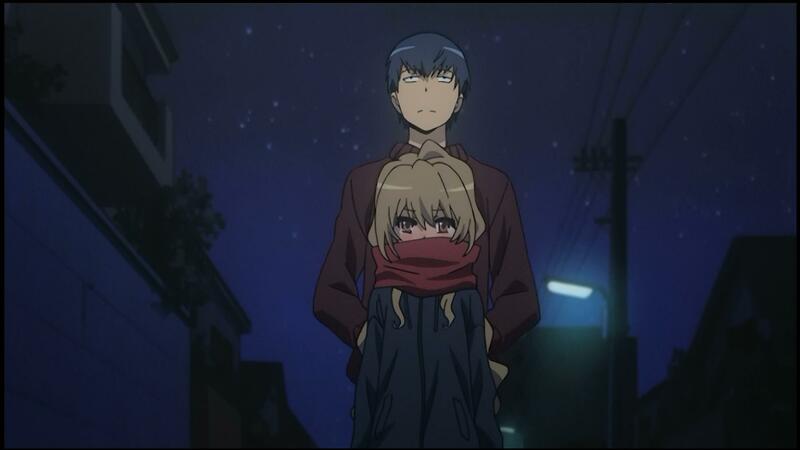 In the Toradora! Encyclopedia published by Ascii Media Works in August 2009. Thank you for bringing this to us. As a Toradora fan it was indeed a nice read.